We are all aware of how influential the social media has become. With 2015 about to kick start, one can hope for some new trends to kick in. Here, we are going to take a look at the possible trends which are going to dominate in 2015 as far as social media is concerned. Facebook is one social networking site that has always believed in constant changes. You will find that new updates keep on popping up from time to time. So, what is likely to change in 2015? Facebook believes in coaxing users to choose paid ads rather than relying on organic search. Lesser and lesser number of fans will be able to see our post and advertisements unless you choose to boost them. We are all aware of how boosting needs monetary investment and in 2015, the paid ads by Facebook are likely to get even more popular. When the Google authorship program was launched, people thought that it would revolutionize the way we have been looking at social network marketing. However, we found out that it turned out to be a miserable flop. As hardly any one makes use of the authorship program, it is evident that Google Plus is going to be lost in oblivion. In 2015, it is likely that business firms are least likely to concentrate on Google Plus and they will be happier to shift focus to other social networking grounds. We are all aware of how Instagram has invaded into our social networking circle. In 2015, it is likely that all those who want some kind of picture promotion will need to have an active following on Instagram. The popularity of this portal is increasing every day. There are more than 200 million monthly users and as far as image based social marketing is concerned, you will find no better choice than this. The recent feature of in feed video advertising which has been launched is going to work wonders as it will give marketers a lot more control over the demographics which they wish to target. From a business point of view, LinkedIn is the true giant and in 2015, its popularity will continue to soar even higher. When it comes to LinkedIn, it is the B2B marketplace which will find the growing impact of this site. An influential LinkedIn page can go a long way in being sure that the company can develop the right engagement and sometimes it can also push the traffic and overall search engine ranking as well. 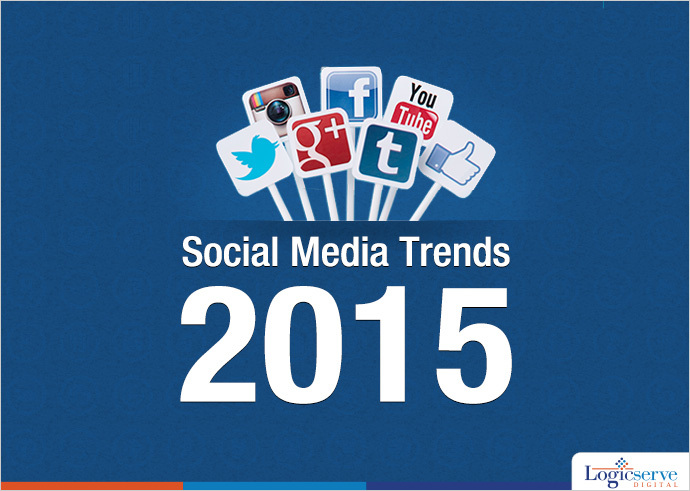 These are the top trends which we are most likely to observe in 2015. However, you need to know that social networking sites have a lot of varying trends and you cannot be completely sure. This is the reason firms need to be flexible enough to adapt to the changes and adjust to the same.